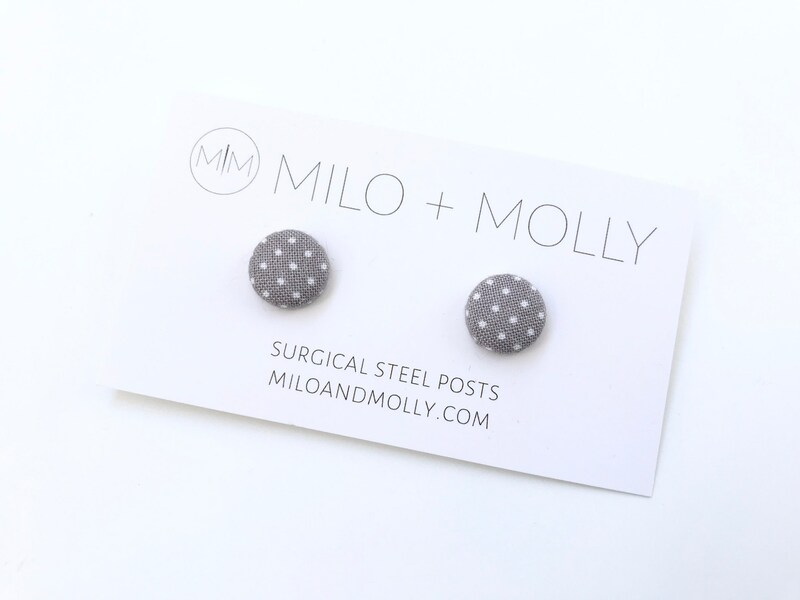 Sweet and fun and a little different, these fabric buttons stud earrings will add a touch of whimsy to your outfit! Each pair provides a pop of color - this pair features a red background with white pindots. The fabric button is 1/2" (13mm) in diameter, and the post is 12mm long. You have a choice of surgical steel, sterling silver, or 14k gold filled posts. Each pair comes with matching metal fasteners. 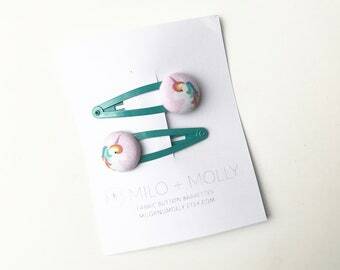 Fabric Button Bookmark Badge Reel Earrings Magnet. Pugs.